I don’t need a home phone or do I? I wanted to give up my home phone as we rarely use it but it did come in handy when signing up for things so pesky sales people wouldn’t call me cell phone. So I decided to get an inexpensive VOIP service for what I cal me Spam Phone. We always let the calls go to voice mail and then the message gets emailed to us so we can decide if the call was important. I also use that number for ads I place on Craigslist. After some research I decided on NetTalk as they offered the best Bang for the Buck. It’s about $30 per year for unlimited calling in the US. It’s time to enjoy the fruits of your labor. 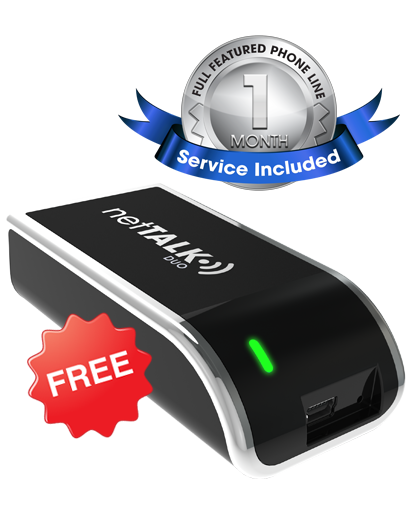 Get a netTALK DUO or DUO WiFi with 1 month service, absolutely FREE!